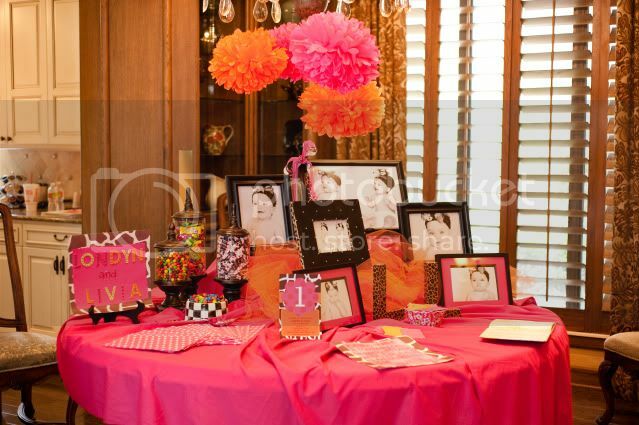 Kara's Party Ideas | Kids Birthday Party Themes: Real Party: Twins Pink & Orange Birthday! 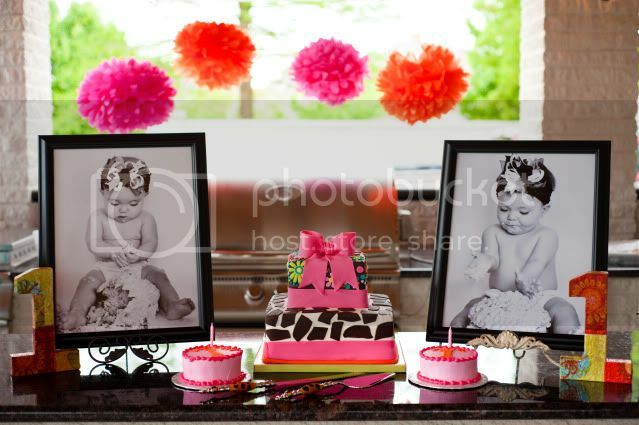 Kara's Party Ideas | Kids Birthday Party Themes: Real Party: Twins Pink & Orange Birthday! Real Party: Twins Pink & Orange Birthday! 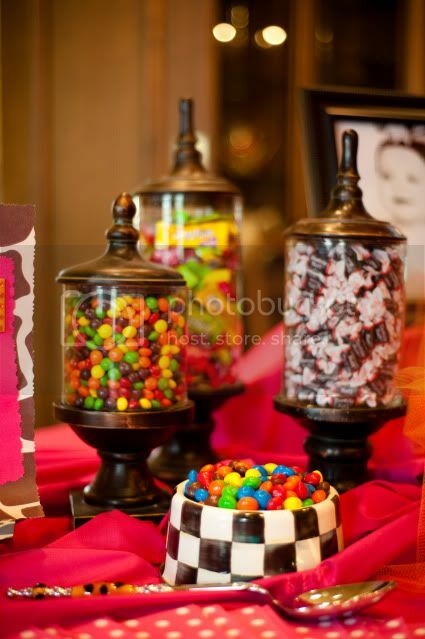 The cake table is my favorite. Framed pictures are a great way to decorate a party, too! Thanks so much for your submission, Natalie! Congratulations on being the winning party feature! Oh my Gorgeous! Loving the pink and orange together. I have 3 year old boy twins. Congrats on their first birthday! Would you happen to know where the chairs in the last picture are from? They are adorable! Thank you so much, you are all so kind!!! I feel truly blessed! 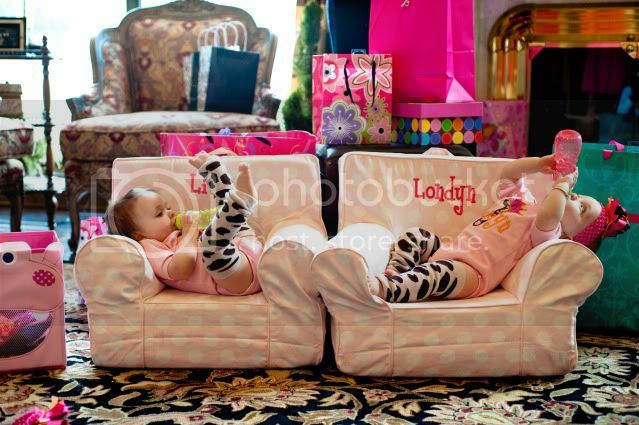 The chairs are from Pottery Barn Kids, I had their names monogrammed on them at Peek-A-Bootique (a local store). The chairs are one of my girls most favorite things! This is awesome! I love the leg warmers! 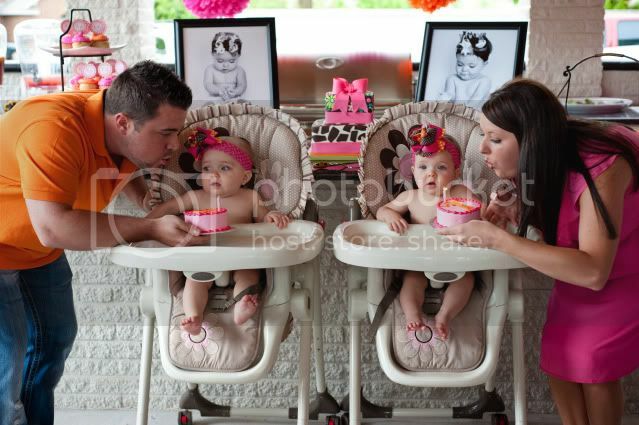 Awesome party, and these twins are just tooo cute! 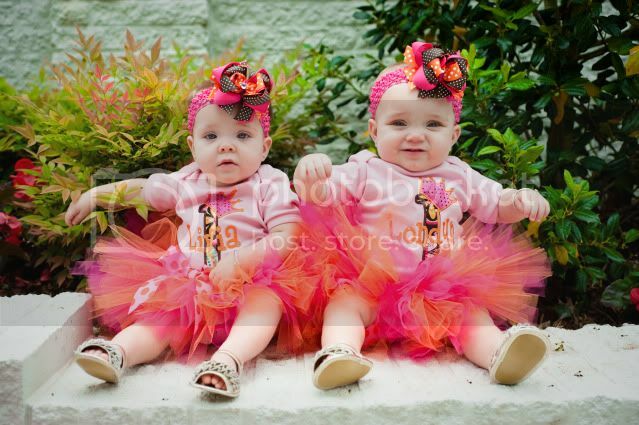 ABSOLUTELY THE MOST BEAUTIFUL GIRLS I HAVE EVER SEEN!!! WHAT A SWEET FAMILY , I CAN SO SEE GOD MOVING IN MANY WAYS!!! LOVE LOVE THE PINK AND ORANGE TOO! WOOHOO GO NATALIE !! What a beautiful party! Amazing details! THE LEG WARMERS!!!!!! I CAN NOT GET OVER THE LEG WARMERS!!! I love this party. Great colors and textures, but I just adore those two little babies. How fun. Love this! Those cakes are so cute. OMG!!! 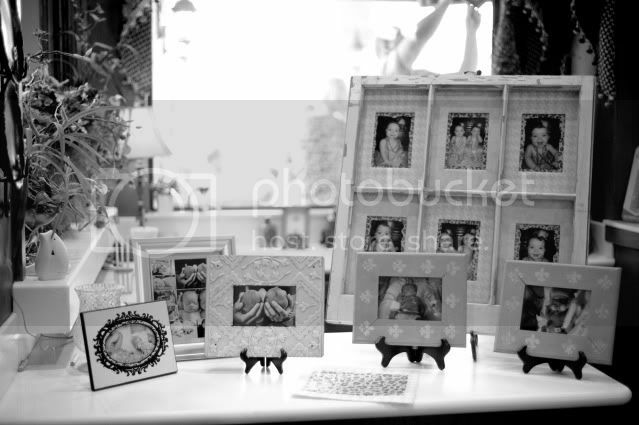 !What great photos! 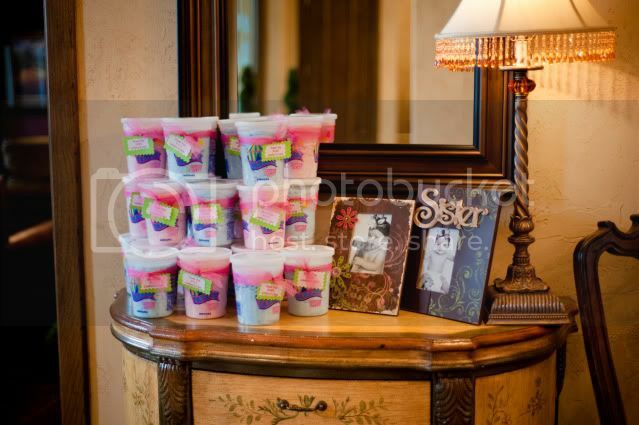 Love everything about this party!! Natalie, you're amazing - great job!! Absolutely everything is adorable! I think I need to go get some cow print BabyLegs for my little girl now! Thank you all so very much. I feel truly honored! We absolutely have a blog, we would love for you to follow! This is adorable! I have 1 year old girl twins myself so this was great to see! How do we submit parties to you? Would anyone happen to know where the onesie's came from?